Follow the Suffrage Wagon on its travels, including the “Night of Terror” on Vimeo. Here at Suffrage Wagon News Channel we love narrative storytelling. And part of the reason for blogging since 2009 has had a great deal to do with learning about the larger picture that includes descendants of the first wave activists, historians, policymakers, teachers, students, and regular folks like you and me. Now that 2020 is getting closer we have an opportunity to plan and build on the years of behind-the-scenes organizing for the 100th anniversary of US women voting. Drop by at Suffrage Wagon Cooking School, the Suffrage Wagon Cafe, and updates on trends as well as exhibition details of the “Spirit of 1776” suffrage campaign wagon that will be exhibited at the New York State Museum in Albany, NY during 2020. 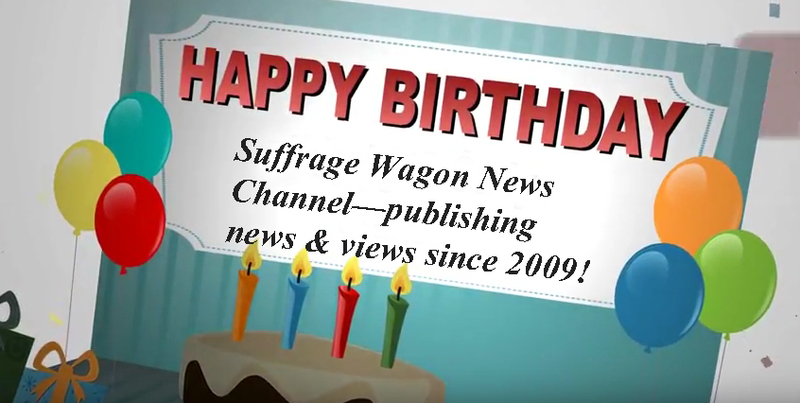 We believe in what we’re doing here at Suffrage Wagon News Channel!